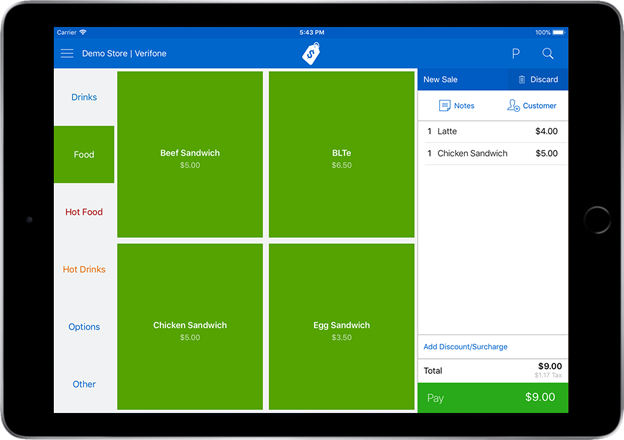 SalesPoint is the most powerful and easy to use POS available for iPad. SalesPoint has a simple and easy to use interface. You and your staff will need next to no training. Large buttons give you one tap access to the things you sell. Everything is arranged automatically, popular products are bigger – so there’s no need to manually lay everything out. Customers often want to divide up payments, SalesPoint makes it easy to automatically split payments or let customers pay for items individually until the bill is settled. Email receipts to your customers – if they have an account or type it in. They will be sent a carbon copy of their printed receipt. Recall the last sale, or a last sale 20 minutes ago, or any sale in one – three taps! Add notes to your sales and customers so that each sale can be customized individually. Invoice customers at the press of a button. Print and then recall when the customer wants to proceed with the sale. Build your customer database and track your sales to customers by entering their details when making a sale. If your internet connection goes down, SalesPoint still allows staff to sign in and make sales.